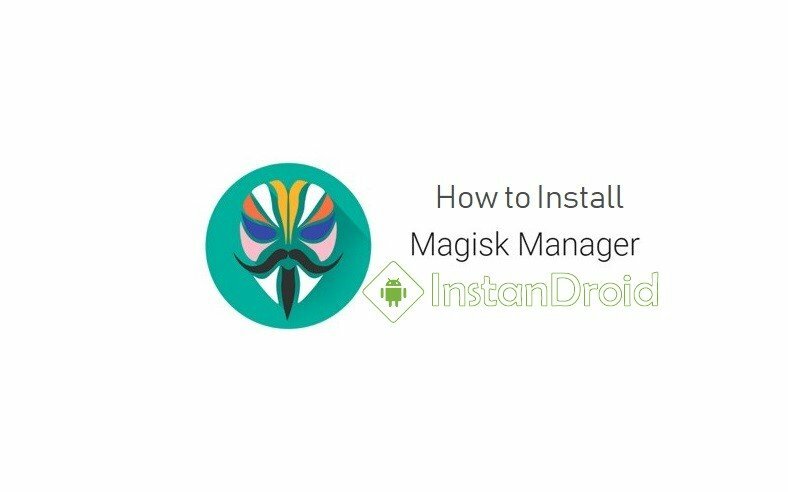 How to Install Magisk Manager, Magisk Manager is the application same as SuperSU which is pre-installed on your device after you have rooted your Android device. 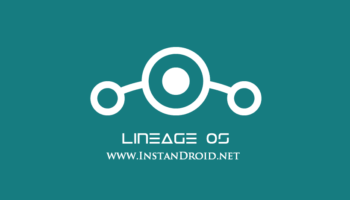 In simple terms Magisk Manager, is a great alternative of Chainfire’s SuperSU. But unlike Chainfire’s SuperSU, Magisk manager offers some great advantages such as you can’t run the banking applications on your android or any security related apps or talking about OTA Update after Rooting your phone which is designed not to run/operate in rooted devices. But with the help of magisk manager, you can break those restriction. Magisk offers some amazing features the way you can use any application without any issues. Best part of magisk that it works systemless-ly, and it doesn’t modify or alter your system partition. Magisk has Universal Systemless Interface. So you can use magisk in any android device you like. It means that if you want to create your mod or app, you can do so with the help of magisk. Magisk is mostly same as Xposed Framework and in the Xposed framework, there are different modules which you can install on your device. Unfortunately, the Xposed framework is not available for Android Nougat. You can use the Magisk Manager on your device, and the Xposed Framework is mixed into it, and you can install some modules on your device with the help of magisk manager. You can hide root from other applications. Magisk Manager – MagiskSU Root Privilege Management, Upgrade Magisk, Manage MagiskHide listsManage, Upgrade, Download, Install Magisk Modules from the community driven online Magisk Module Repo. MagiskSU (Open Source Root Solution) – Root your device with MagiskSU, based on phh’s Superuser, which is based on CM Superuser. MagiskHide – It allows user to hide Magisk/Root Access from detections: Google SafetyNet, enterprise / bank system integrity checks, game tamper checks etc. That means You can still get OTA Updates, Run banking application in your android. MagiskMount – Magic Mount Allow you to do any system (vendor) modification without actually tampering the partitions. Anything can be loaded with Magisk systemless-ly! Miscellaneous – Remove AVB 2.0, dm-verity, forceencrypt. Unlock partitions blocks to support remount to rw. To install magisk manager you will be needing a Bootloader Unlocked and Custom Recovery (TWRP) android device. If you don’t have a TWRP recovery, then you can install the Magisk Manager Android application on your device, and you can enjoy the system less rooting on your device. Before proceeding with installation of Magisk in you android device, first you need to download the follow files. Install the Magisk Modules step by step and shown in app. Download the Magisk Module zip file from above download section and copy the file to your device. 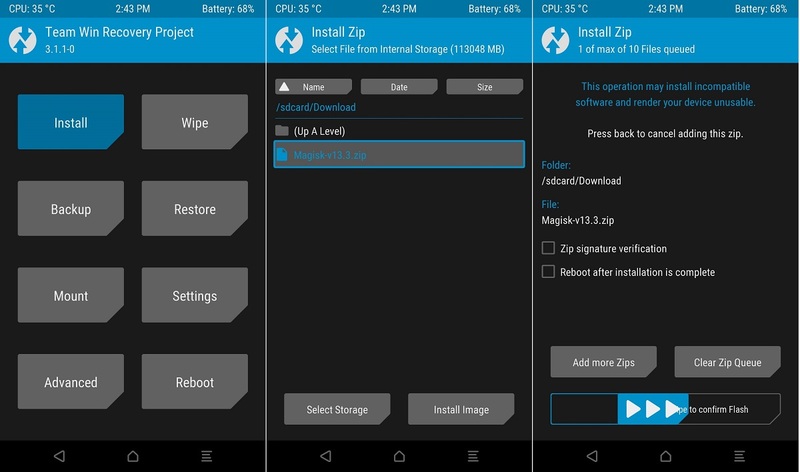 Turn off your phone and reboot your device into TWRP recovery mode. After entering in TWRP main menu, tap on “Install” and select Magisk Module (zip file) that you copied to your device. After selecting the .zip file, do “Swipe to Confirm Flash” on the bottom of the screen to begin the Magisk Module installation process. Screenshots are given bellow.